OLD PARKED CARS. 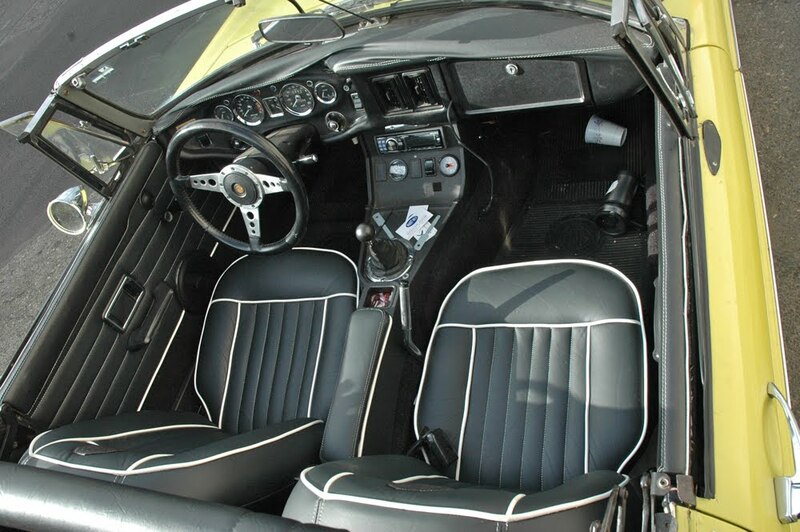 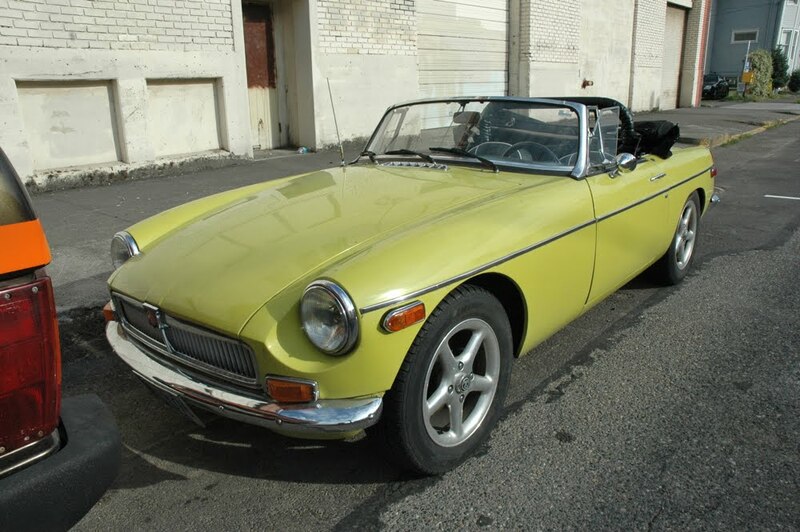 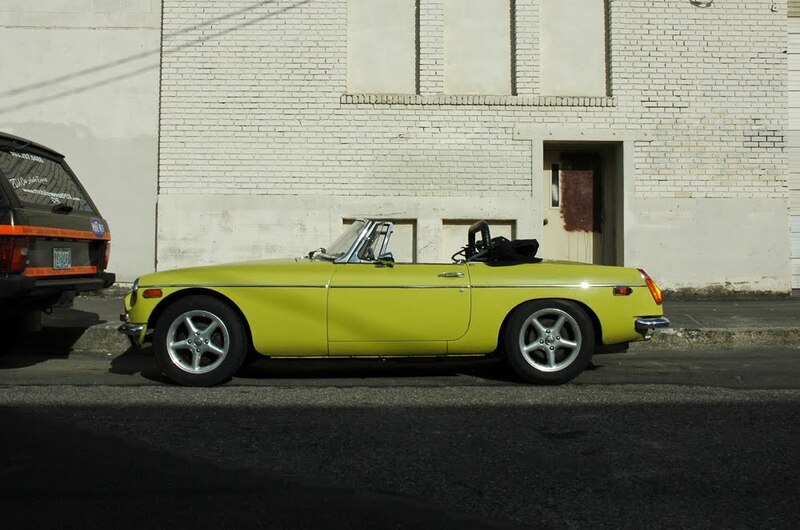 : 1970 MG MGB. 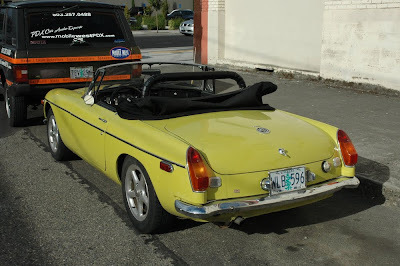 It's very funny to see this pic... me and my friend went to a junkyard this afternoon, and saw a yellow MGB, just like this one, except it had the MGB decals on the lower part of the car.